Being a mother is the most non- comparable feeling. I became a mom when i was 24. Yet those two pink lines were scary. I clearly remember it was a thursday morning when i took my last test (i had taken almost 4 to 5 tests the previous day, with each test giving me a different result). But somehow I was damn sure of my pregnancy even before i decided to take a test. Post my 2 year ordeal with PCOD, my periods were always on time, date to date. So, missing them once was definitely because of being pregnant. How I realised I had missed my period is another hilarious story. Wanna know? Forget it. I am going to tell you anyways. So, I had just gotten over with my 1st year post graduation exams. We were chilling in front of the TV with a beer in our hands. There was this sanitary napklin ad running and suddenly I realised that I didnt use my monthly supply this time. I rechecked in my cup- board, they were all there resting on a shelf. I glanced at my husband and he knew something was wrong. He asked me as to why i looked worried, and I blurted those 4 word…..I MISSED MY PERIOD!!! At first, he shoved it off saying it must be the exam stress and that we should wait for a week. So, finally after a week of no visit, I KNEW IT!!! Now coming back to my post. As I said, being a mother is the best feeling. It is a title above all. And it is the highest paid job in the world, since the payment is pure love. But you know being a mother changes your life a lot. Its like a 360 degree flip. It makes you a student again. In addition to deep, selfless, unconditional love for the little human, below is what i feel motherhood has really taught me. First and foremost, it teaches you to PUT SOMEONE ELSE AND THEIR NEEDS BEFORE YOU AND YOURS. Being the only child, I was always the centre of my parents and my world. My parents gave me everything that i wanted, sometimes even before asking. Whenever out shopping, all I could think of was myself. But now, I had to put my childs needs ahead of me. Shopping was mostly about what the baby needed first and then for myself. Whatever you do now, will revolve around the baby. PLANNING, according to me is the next thing on the list. This includes planning your day, your meals, kids meals, their day and even outings. You cannot go on a vacay at the drop of a hat now. It will take you atleast a month sometimes more to plan one. Starting from a kid friendly location to travel to eats, everything has to be pre- planned. All this planning might seem tedious (tru;y speaking it is), but it is to make things easy and comfortable for you. It is best for you to be at ease to be able to care for the little human efficiently. It makes your life 100 times easier. Next is MULTI- TASKING. Gone are the days when you had the luxury of concentrating on one thing at a time. Now it is all about having 10 hands and dealing with 20 things at once. OK maybe not as bad as it sounds. But yes, you have 2 hands (though I wish I had 2 more), so you ought to be doing 2 things at once. The most common combinations are cooking & talking on the phone; bathing yourself and the kid at the same time; breastfeeding while having your meal/ working on your laptop/ watching TV/ sometimes even when you are entertaining guests (No! I am not exaggerating, it happens. Somehow kids are always hungry at all these times). PATIENCE. All my life i have always praised myself for being a patient person. But having a kid tested my limits to the next level. The crying your lungs out for no reason at all, to calling mumma 100 times in 1 minute and then staring blankly at you when asked what. From throwing things off all the surfaces because they enjoy it to lying on the floor in the mall because you said no. And yeah having two kids means dealing with all of this twice. So finally after 7 years of being a mom to 2 kids, I can proudly say, I AM A VERY PATIENT AND CHILLED OUT PERSON (fingers crossed). YOU DO NOT KNOW IT ALL. All those books/ blogs/ articles you read or the 16273856 advices you received, will not prepare you for handling your child. So, do not think you know it all. Every child is different and so is their schedule, their tantrums and bringing them up. All those toddler tantrums you read about, forget those. Your child will throw a new one, dealing with which will be an altogether new lesson. THE SMALL THINGS. Throughout our lives, all we do is make goals and plans to achieve them. We often forget to appreciate the smaller joys in this rat race of achieving the bigger goals. Being a mother teaches you just that. The first step that the child takes, to the first time they say mamma or even their first bite, its pure delight. It teaches us to stop and take in what matters and to keep our curiosities alive. NO ONE IS PERFECT. Wouldnt we be gods if we were perfect? No one is perfect and according to me shouldnt strive to be one. Its all about being a good mom and not the perfect one. The definition of perfect changes from person to person. Stop judging yourself and other moms too. Every family is different and have different things that work for them. Scrolling through your mobile for sometime, or letting your kids watch the TV. Do what works for you and your family. And yeah the moms to see on TV aren’t real!!!! PRIORITIZE. Prioritize things for yourself. You cannot have it all. Do what is more important at that particular time. If being at home with your kid (for whatever reason) is more important than that meeting at the oofice, then just be at home. You are not the only priority now, especially for yourself. If going to work is crucial that day, then just go. Its all about your perspective. It is the best guide on deciding what is important and what is necessary. NEVER LOSE YOUR IDENTITY. Always remember you are more than just being a mom. It is about keeping yourself sane and maintaining your identity as a person. Do something that makes you happy, something that keeps you connected to your real self. Writing is what made me happy and thats how my blog happened. Photography, cooking, baking, all this is what gives me joy and I make sure to follow these. THE IMPORTANCE OF ME TIME. Before having a kid its all about yourself. All the time we have is ours and so we do not understand the importance of it. Post being a mom, you will crave for some alone time. This me time is important for keeping your cool, maintaining your sanity and more importantly concentrating on yourself. You can and should do whatever you want in this time. For me this time is usually when i workout, meet up with friends, skincare, dancing like no one’s watching, a coffee date with yourself and a book or sometimes solo lunch in a nice restaurant. Make yourself a priority once in a while. ITS ALL ABOUT FAILING AND LEARNING. Motherhood teaches you that its OK to fail at times and it is necessary that we accept these failures and take them in good spirit. Do not be spoilt sport. Being a mother is not for the weak hearted. Its lessons are hard and brutal at times. I have come from not trying something because of my fear of failure to failing and learning everyday and to forgive myself for all those failites. It has taught me that failure and success go hand in hand, it is all a part of the bigger picture called LIFE. THE PERFECT BALANCE. No you cannot have it, at any cost. It is OK to let go things sometimes. It is OK to not be the best all the time. It is OK if you do not clean the mess today, you can always do it tomorrow. It is OK if your kids are eating cereal out of the box or are munching on sugar cookies for once. And never try to balance it all, it will make you even more miserable. You cannot or rather shouldnt try and juggle all the balls at once. Take it slowone step at a time. Next postSimple brain training games for 2 to 8 year olds..
Wow you were damn excited about the missed period. I did not even realize it. Read my blog to know how I reacted. Totally opposite! 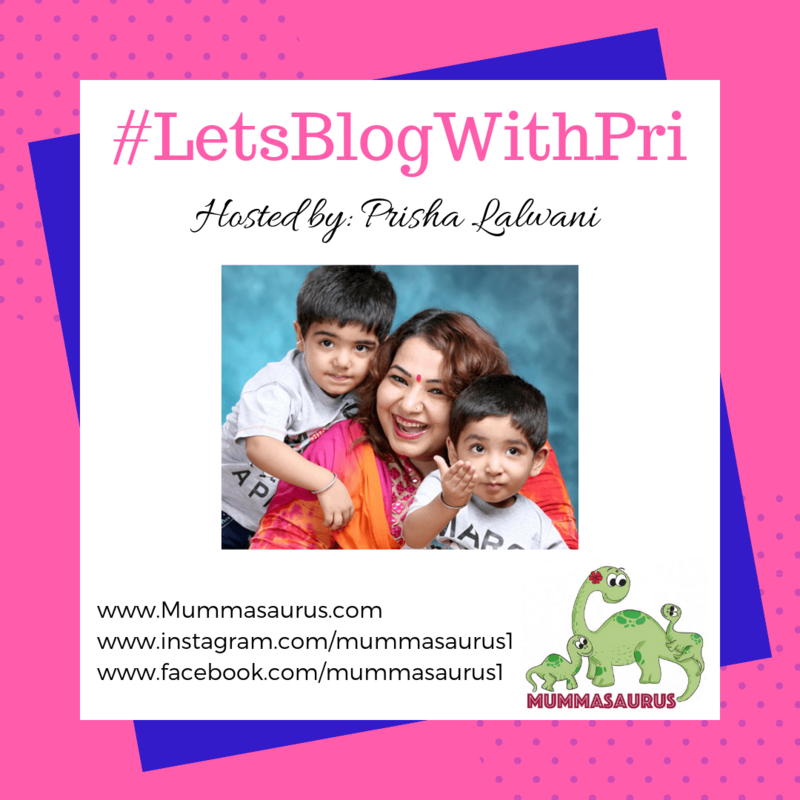 Yes motherhood is lovely and it has taught me a lot of things too! Patience is on the top! That’s a wonderful post Gayatri and I agree with all your points starting from learning to be a good mom to spending some me time. Oh yes I definitely improved as a person after becoming a mom! I learnt a lot of patience too.